Represent an icon in the game of basketball with sleek style and insulated comfort. 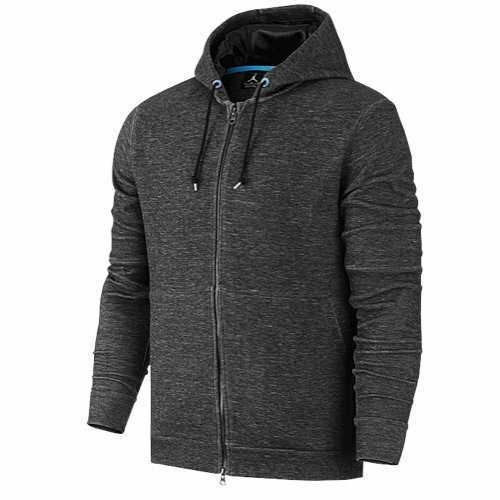 Media-cord solution and snap cuffs lend utility and a custom fit to this hoodie. Hood with drawcord for warmth and adjustable coverage. Smooth hood lining for a sleek look and lasting comfort. Kangaroo pocket with media-cord solution to keep hands warm and media cords out of the way. Body: 66% cotton/34% polyester. Hood lining: 100% polyester. Imported.